On January 17, Financial Times in its Trading Post column portended what was coming. It said: “Recent talk of a market melt up from veteran sages such as GMO’s Jeremy Grantham has helped to reawaken fears that asset bubble traps are awaiting to ensnare the unwary investor.” The beauty is that nobody saw it coming. The contagion blindsided everyone. Froth, bubble, exuberance, overbought zone... call it what you will, it was like a neon sign being held up in our faces and yet the fast and furious buying frenzy in January was ignored at our own peril. “Global financial market risk remains moderate, with little change in underlying pressures over the past six months,” says Colin Ellis, managing director of credit strategy at the rating agency Moody’s. He then says, “Equity markets rising to record levels have driven a slight expansion in asset prices in the second half of 2017, but asset prices do not generally appear to be inflated on a global basis.” The rout over the weekend put paid to Moody’s reliability. As wages rose in the US, so did bond yields which careened out of control and equity hit the floor in the US. The Dow took a beating and the rest of the world caught a flu. The ferocity stunned everyone. A sagacious counterpoint came from Saxo Bank’s Peter Garnry, head of equity strategy. He said two weeks ago that global stocks were headed for a correction in the second half of the first quarter. While the head of equity strategy at Saxo Bank didn’t get the timing exactly, his alarm bells on the run-up in equity markets were on point. Now, Garnry says the declines are likely to be short-lived as US 10-year Treasury yields haven’t reached a worrying level. “We believe this is a healthy correction in equity markets but also likely short-lived as the higher US 10-year yield is still not in the danger zone,” Garnry said in an email. “That area is more likely in the 3.5-4.0 per cent range.” The S&P 500 Index fell 6.2 per cent in two days, its biggest such decline since August 2015, after yields on 10-year Treasuries climbed to a four-year high of 2.84 percent on Friday. 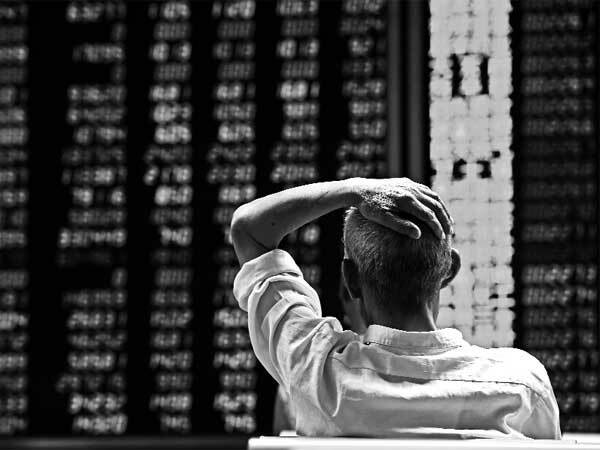 Markets across the globe were sucked into the selloff, with the Stoxx 600 Index declining for a six straight day on Monday and the Nikkei 225 Stock Average falling more than 10 percent from its January high, poised to enter a correction. Still, Garnry says it’s too early to predict a bear market. “After the correction, equity investors will likely buy into the inflation story and bid up equities once more, which is a classical late-cycle behavior which we last time saw in 2007,” he said, adding that the decline in global equities could extend to about 7 to 10 per cent. Around the same time (mid January), the Dow cracked 26,000 as hearty earnings gladdened bulls in the US. Blinded by this craze for equities, ironically, a BankAm Merrill Lynch in its monthly summary of market positioning argued that allocation to equities had climbed to a two year high, while money devoted to bonds had fallen to a four year low. The report averred - Investors are the most overweight to equities relative to govt bonds since August 2014. Investors near term expectations for stocks are strongly positive. Markets move in mysterious ways, they have a life force of their own. So much for their research. Lulled into the arms of Morpheus, blinded by greed and avarice, CNN Money nailed the crisis in the US — if the economy gets much stronger, it could touch off inflation, which has been mysteriously missing for the nine years of the post-crisis recovery. That could force the Federal Reserve to raise interest rates faster than planned. “People are dealing with the shock of seeing real inflation for the first time in a while,” said Bruce McCain, chief investment strategist at Key Private Bank. The sell-off wiped out the Dow and S&P 500 gains for the year, and left the Nasdaq barely in positive territory for 2018. In the largest single day fall ever - Investors have also been nervously watching the bond market, where yields have been creeping higher. As yields rise, bonds offer better returns, which makes them more attractive to investors compared with risky stocks..."You had a market that was overbought and ripe for something to undermine its tranquility," said Mark Luschini, chief investment strategist at Janney Capital. So, banks weren't collapsing like 2008, nothing was materially wrong with the US economy, in fact, it was at its most resilient since 2008. And perhaps there in lies the rub. Markets cannot remain unidirectional, money has to be taken off the table. Ergo correction, a euphemism for a bear hammering and even losing your shirt. Rodrik (2000) provides evidence that a simultaneous push may not be necessary — arguing that successful economic performance is not explained by saving transition episodes. He presents evidence to show that countries experiencing positive saving transitions do not necessarily experience sustained growth increases. Rather, causality seems to flow in the opposite direction: countries that experience growth transitions eventually see sustained higher rates of saving. Based on these findings, Rodrik (2000) proposes that policies should focus on encouraging investment, rather than saving, to boost growth. Minsky also accorded primacy to the role of investment over saving (profits) in his analysis of macro-financial developments. To the Survey’s credit though, it predicted the fall in equities — The survey highlights that while Indian and U.S. equities have rallied in tandem, in India it was despite deceleration in growth, a falling corporate earnings-to-GDP ratio and high real interest rates, contrary to the United States where the macro fundamentals were robust. What appears to be driving India’s valuations was a fall in the equity risk premium reflected in a massive portfolio re-allocation by savers towards equity in the wake of policy-induced reductions in the return on other assets (demonetisation has taken the sheen off gold and real estate). However, sustaining these valuations will require future growth in the economy and earnings in line with current expectations. So keep a hawk eye on earnings. Emerging as a counter weight to the fair weather friends — FPIs — domestic heavy artillery of mutual funds has pump primed India’s equity markets — equity mutual funds largely invest in shares. Between April and December 2017, Rs 1,25,712 crore was invested (net investment) into equity mutual funds. This is the highest amount of money that has ever been invested in equity mutual funds, during the course of any financial year, and the current financial year ends only in March 2018 which means there is still some head room available. But new data shows that against inflows in equity mutual funds, ELSS and balanced funds of Rs 25,843 crore in December, January has only seen Rs 22,955 crore, a drop of Rs 2,888 crore. The worm has turned, but one swallow doesn’t make a summer, to prove the course correction and a trendline, one needs more empirical evidence. Meanwhile, the jury is out on whether the correction is done and dusted or not.